Lisa Brown, 32, was last seen in her Cadiz home in November 2015. 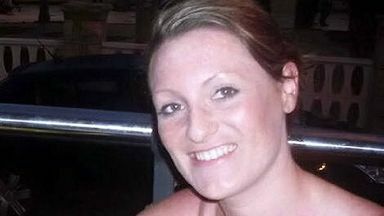 The family of a Scots mother missing in Spain for almost two years believe she has been murdered. Lisa Brown vanished from her home in the Cadiz provence in November 2015. Her family believe a group of ex-pats are "complicit" in her disappearance and are raising money for a reward for information leading to locating Ms Brown. 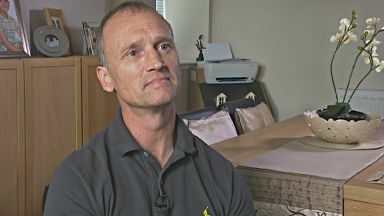 In an interview with STV News, her brother Craig Douglas said he fears the worst for the 32-year-old. He said: "That's really difficult to say out loud. "She's been murdered. We don't know why, and we don't know how. The 'how' is probably too painful to hear and I don't know if we'll ever hear the why. "Why can anyone do that to somebody? It's beyond words." 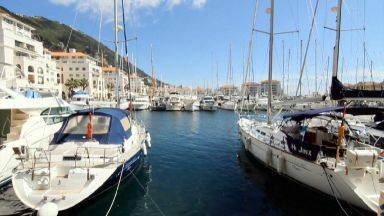 Ms Brown was living in Guadiaro, near San Roque, and working for a gambling firm in Gibraltar. She was last seen at her home on November 4, 2015, but the alarm was not raised until five days later when she failed to pick up her son Marco from school. Investigation: Spanish authorities believe Ms Brown may have been killed. Since then, the Guardia Civil have been searching for her whereabouts. They previously stated that one possibility is that Ms Brown, from Alexandria, West Dunbartonshire, was killed and her body was dumped in the sea. Patches of blood were also found on a mattress at her home. Mr Douglas said: "I was her big brother and not being there when she really needed me is breaking my heart. It's really breaking my heart. "Sometimes I feel as if I'm just walking on empty. Where I have my job to do, I'm not there... The lights are on but no one's home. I know I speak for others as well." After her disappearance, her on-off boyfriend Simon Corner - also known as Dean Woods, from Old Swan, Merseyside - left Spain. He had been living on a boat in La Línea de la Concepción, just over the border from Gibraltar, and was a suspect in the case. In May 2016, he was arrested in Copenhagen, Denmark, and returned to Spain. He spent a year on remand before being granted bail in April this year. Simon Corner: Ms Brown's boyfriend was arrested over disappearance. While the search for Ms Brown continues, both Spanish and British police are combating the burgeoning drug smuggling trade in La Línea. In the last two years, reports and footage have emerged of traffickers dumping kilos of cannabis from Morocco on the beach in front of tourists and boats being chased by police helicopters across the Bay of Gibraltar. One local police officer was killed during a raid on traffickers last month. 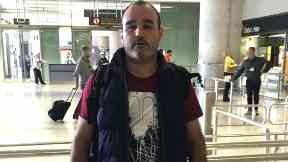 Gibraltar: Authorities are investigating the Scot's disappearance. Both Mr Corner and Ms Brown socialised with fellow ex-pats living in Gibraltar and La Línea, including Stephen Jackson. In July last year, Jackson was jailed for four years in the UK for attempting to smuggle 17 Albanian men into Chichester Marina. After his conviction, Spanish authorities involved in investigating Ms Brown's disappearance searched his yacht in Lanzarote. 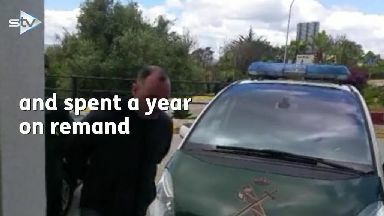 Attempts were also made to extradite him in connection with the case, before Spain dropped the request in January. Ms Brown's family do not believe this smuggling trade is the reason for her disappearance but they think it may be fostering a wall of silence around her fate. Her brother stated: "For some of them to say they're yacht dealers and stuff... I think a lot of people will make their own minds up about that. "[These are] people who are involved in people smuggling who claim they are forced to do it... I don't think people are foolish enough to believe that." The family has already gathered around £7000 for a reward for locating Ms Brown. Relatives will take part in a sponsored walk on Ben Lomond on Saturday to raise more funds. Mr Douglas continued: "I think there is a small group that has been complicit in [Ms Brown's disappearance]. "I don't think any one of them will speak up because I think that will implicate themselves. "Our main focus is getting a reward that can appeal to friends and family of that small group, people who they've maybe spoken to. "I think we are running out of options. We all said as a family that we'll do anything. And we'll continue to do anything, whatever it takes." STV News has approached the Guardia Civil and representatives for Mr Corner and Jackson for comment. More information on the family's fundraising appeal is available here.